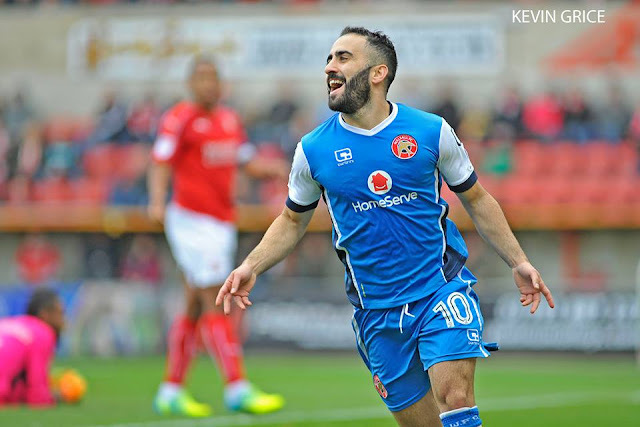 Speaking via Saddlers.co.uk, Erhun said; "I feel really good. I know the players vote for this award so it’s nice that players from all over the league have voted for me. When I first signed for Walsall I always said it was my first choice because of the way we play - we keep the ball on the floor. "I knew I would have a really good season and the gaffer has really helped me to score these goals, telling me to express myself in the final third and I’ve done that. The players try to give the ball to me in the final third because they know I’m a creative player. I’ve got to thank the staff, the manager and the players for helping me this season."